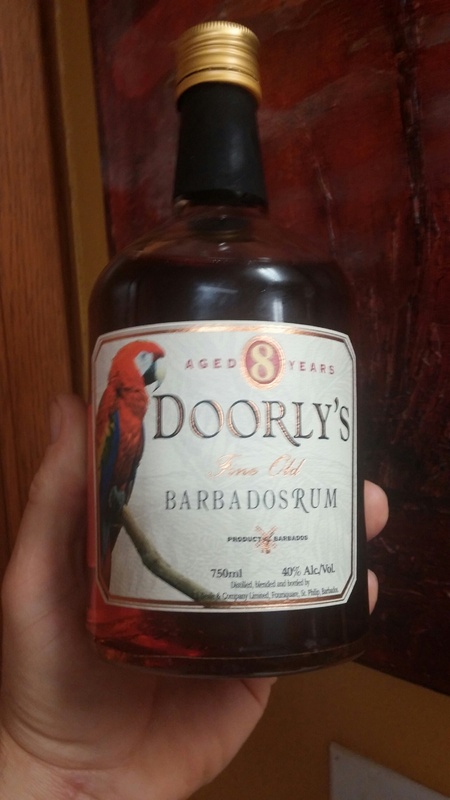 Have you found an online vendor selling Doorly's 8-Year? A big step up from the very good 5 yo and maybe a little fruitier than the 12, which is a personal favorite. IDK if there are different barrels in the mix, but the character is different enough from the 12 to offer a different perspective. I like it! Unadulterated aged Bajan rum with great natural oak and vanilla flavor. Less bold than the 12 year old version and a little less smooth without being too hot. It has more sweetness and vanilla than the 12 as well and a fruitier younger taste that is very good. Not as aged raisiny tasting as the 12. 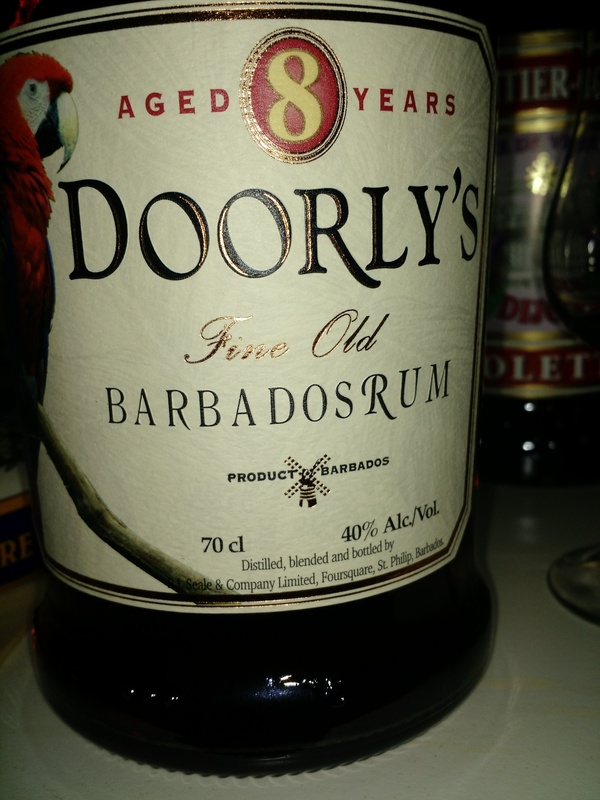 Another great Bajan from Doorly's. Update: Another way to describe it is like RL Seale's 10yr but fruitier and sweeter. Maybe because of some of the younger rum flavor in the blend. It's not quite as smooth as Seale's 10. However the mild burn works in its own delicious way and brings out tropical fruit into the taste. I like that it definitely tastes like rum while the Doorly's 12 in comparison starts to taste like whisky after so much time in the barrel.Update: I like it even more than the 12 yr and definitely more than the XO. While the XO is smoother and more banana comes through, the 8yr is noticeably oaky and you can taste the dryish bourbon flavor which I really enjoy in my rum. Can't recommend it enough. Better than the XO, but just a bit below the 12 year. Absolutely cannot be missed if you are on the search for wonderful rums. Being overly critical, the nose exhibits a bit too much spirit for my liking. While this is carried on to the palate, the oak is smooth and easy, that the bight of the alcohol is not out of place. A really nice sipper. Similarly priced to Mount Gay Black Barrel, it is far far superior. Has certain similarities to the Bajan rum that M&S buy from Plantation, but without the added sugar. I believe that Plantation get some of their rum from Seale's so that might explain it (but stand to be corrected). EDIT - the more I drink the 5yo, 8yo and 12yo the more I don't quite see how the 8yo fits in. The 5yo is a easy, soft, unsophisticated and very easy to sip with plenty of American oak. The 12yo has the sophistication and power. The 8yo is somewhere in the middle (inc price wise). Dare I say that the 8yo is a little pointless? Don't get me wrong, it's a good rum, but the 5yo is easier (albeit very much less sophisticated) and the 12yo is better. Maybe it is a case that I actually prefer the soft oakiness of the 5yo to the 8yo. Admittedly, I am a person with a champagne taste with a beer budget. I am always searching for the best rum that I can both enjoy on the rocks while keeping my finances in check. Recently, while at the local “adult beverage” store, I was met with a vast selection of rums. I opened my RumRatings app and read the Doorly’s 8 reviews. I am glad I did! This is one of the finest rums, at this price point, that I have ever tasted. The taste is bold and mature for an 8 year old vintage. There is no reason to go to a spiced rum for boldness when one can enjoy a few sips of this rum. Thanks to all for their thoughtful comments on Doorly’s 8, you have gained a friend. Solute! Initially I had given this a lower rating, but the more that i sampe it, the more that I have been enjoying the oaky flavor. Note they have a new bottle for the 8. This new release from Doorly's (a Foursquare brand) is fanstastic. A moderately sweet and very smooth Bajan rum, it's well-rounded enough for sipping, but inexpensive enough to be used liberally as a mixer. I liken this to the comparably-priced (and equally undervalued) Plantation Barbados 5-Year; they are somewhat similar. At only 5 years, Plantation's offering is impressive in its youth, but is more vanilla-forward and far sweeter, which I actually don't love. As with all Foursquare offerings, Doorly's rums are crafted by Mr. Seale without the use of additives or sweeteners, making the end result all the more impressive. I'm really impressed with this, my first, Doorly's rum; I only wish I knew of a nearby retailer who carried it! Prima rum weer van Foursquare. Minimaal 8 jaar gerijpt en niet mee geklooid. Zachte eiken en caramel smaken met wat fruitigheid. Lange zoetige afdronk. It was a bit of a rough transition for me to go from the heavy, complex, and sometimes challenging Jamaican rums that are my mainstay, into this comparatively crisp Bajan 8 year. At first, I thought there was too little going on. Now I'm at the end of my bottle, and I'm glad I waited to write my review. The drink is lightly fruity without being sweet, oaky without being bitter, with vanilla to carry you through, enough alcohol on the nose and palate to let you know you're alive, and a gentle, nearly whiskey-like finish, which imparts a sort of buttery-ness when mixed with the right fruit juice. Overall, nothing here will floor you, but it's a well composed, reserved drink that still has its own character. Were it not for the fact that the alcoholic bite may be a smidge on the heavy side, and the fact that the Bajan style just isn't immensely to my taste, this would easily get an 8 or maybe even more. No one attribute of this rum stands out to me. But if you put it all together, it’s a winner. It has a really good flavor, and is great in a mixer or by itself. It didn’t take me long to finish the bottle gifted to me for Christmas. Now that I know there are other aged variants, I am eager to try those as well. As with all Foursquare offerings, Doorly's rums are crafted by Mr. Seale without the use of additives or sweeteners, making the end result all the more impressive. Tried the Doorly's XO, 8y and 5y back-to-back and I have to say I went from bad to worse. The 8y has a harsh alcohol smell, mish-mash of flavors on the tongue and a nasty burn to finish the experience. There are literally hundreds of much better aged rums in this price range, so don't waste your money on a Doorly's. The 8y is a tad better than the quite awful XO.